Cyclaire pumps are quick and easy like a full size pump but light and portable like a mini pump. The revolutionary Cyclaire technology means you simply pull on a handle to inflate your tyre. Every time you pull on the handle this drives a mini compressor inside the pump. The two tiny pistons move so fast you can pump a lot of air quickly and easily, even at high pressures. Wanted a small pump to keep with me on my bikes. Didn’t want a frame fitting pump, but saw this and thought it’s just what I needed. It fits into a large pocket on a coat for instance, but probably better in a saddle pack or a saddle bag of some sort. As for pumps go this is an excellent idea. And well worth keeping with you on every ride! Robust, well engineered and easy to use. 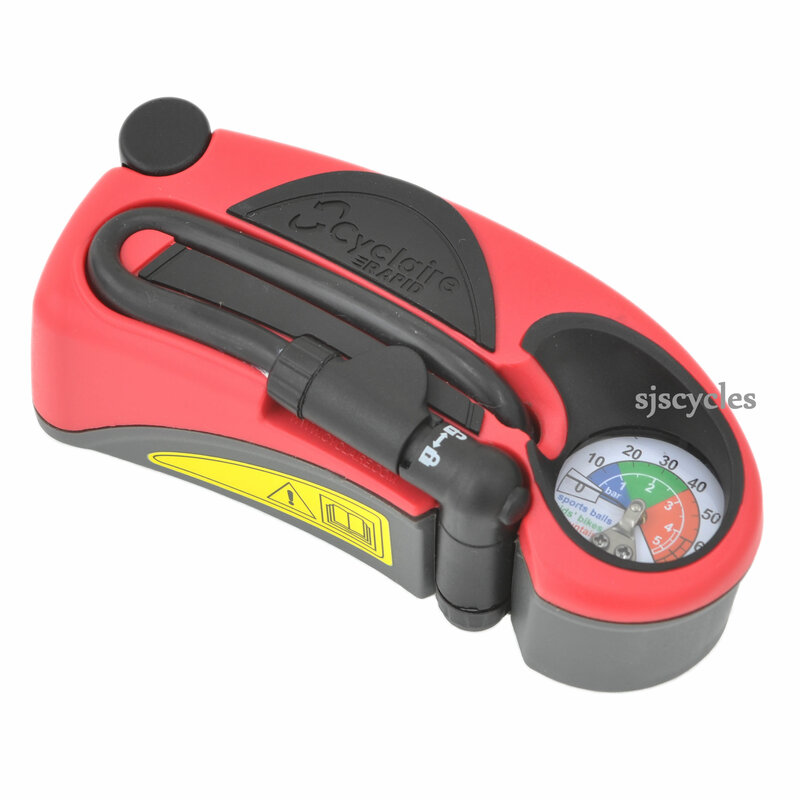 A very useful piece of kit small enough to go in the back pocket of your cycling jersey, very easy to use and does a good job of inflating road tyres to 80 p.s.i. much easier to use than the standard bicycle pump. Great little pump for the Segway. Very robust looking, well made, high quality, and small enough to fit in one of the small pouches in the bag. Highly recommend. How Big Is This Pump? Will it fit in a pocket? It would be a squeeze but it should fit in a pocket. It measures 156mm x 63mm and is 51mm in thickness. The weight also if you're interested is 315grams.